The Ultimate target technology. 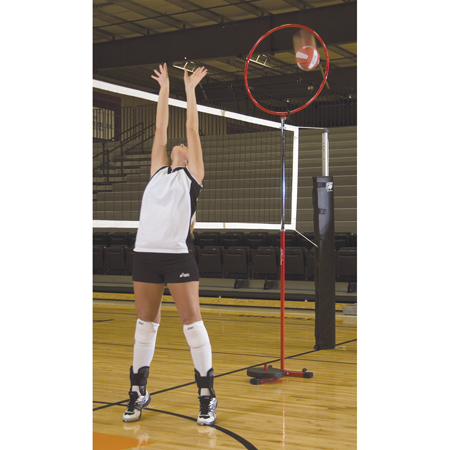 Adjustable pole height and target ring allow for multi purpose use to accommodate any sport. Sturdy net collects balls for easy retrieval. Includes 22 pound weight for stability and 2 wheels for easy portability. Adjustable to 12 feet, target ring measures 30". ideal for passing, setting, or shooting.